"This book  an amalgamation of prose, poetry and illustrations  is a reminder to readers that happiness and the beach go hand in hand." 51/2" x 7 1/4" 72 pp. "The ability to describe that powerful mix of reality and dream and desire is what Gingras does so well. 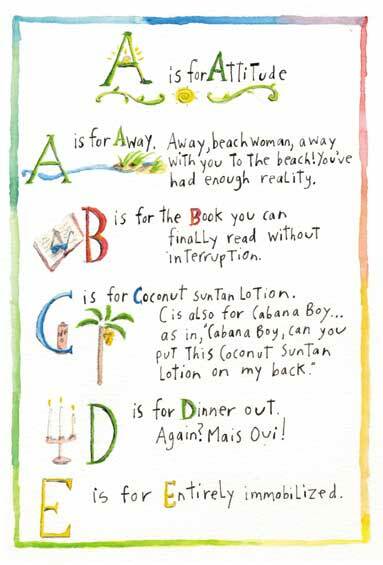 This gift, reflected in her earlier books, allows her to transcend her particular beach place and create something that all beach lovers (and probably those who don’t love the beach) can recognize. Charmingly serendipitous." 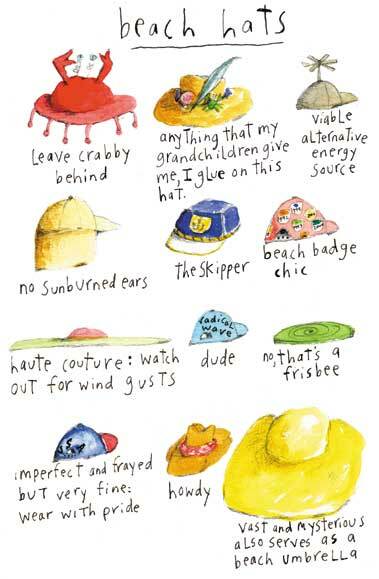 Sandy Gingras shares the essence of what a beach house -- and beach life -- can be. In her inimitatable charming style, this delightful collection features insightful essays, sweet prose and poetry, clever witticisms and of course the charming illustrations of Sandy Gingras. Sandy Gingras is an artist and writer with her own design company called "How To Live." She and her son and three cats live near the beach in New Jersey, where she is active in efforts to preserve open space and wetlands. 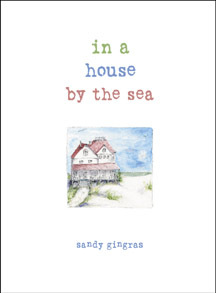 I may be the perfect audience for the new book by Sandy Gingras, In A House By The Sea. 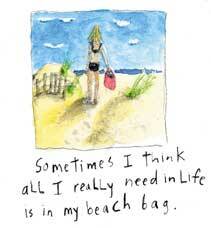 After all, I do live in one which I guess makes me a "beach woman". Although I can’t say I always achieve the verve of Gingras’s "beach woman". I’m not always capable of closing my eyes and letting it be when the house is a welter of sand toys and wet beach towels, for instance. Still, a close association with the vast pathlessness of the ocean has made me a little better at embracing change and navigating life without, as Gingras succinctly puts it, a map. "In In a House by the Sea, the reader gets into a beachy mood without ever having gone to a beach. A must-read for anyone seeking solace by the shore."